Once considered the Italian cooking tomato and the choice of chefs, Roma Tomatoes On The Vine have become extremely popular and multifunctional. Rich in color and deep in flavor, they can be roasted, used in sauces, soups and salsas, and served as a healthy fresh side dish. 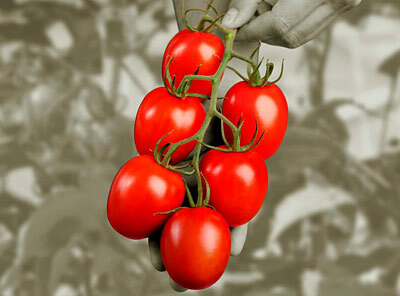 Roma’s are characterized by an oval shape, a thin skin, firm flesh, few seeds and low acidity.